Join the League of YES, our families, sponsors and many others at Leonard’s of Great Neck. 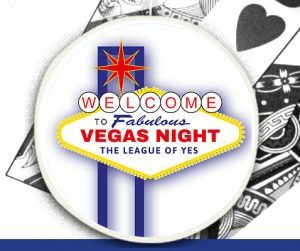 Dine, drink, dance and try your luck at this fun event to support our players and help provide them a judgement free baseball league to enjoy with their peers. I want to try my luck at Vegas Night!